The Perth Wildcats take on the Gold Coast Blaze this weekend in round 1 of the semi finals in the IINet NBL Championships. This will be a very good game played at a very high intensity. The Perth Wildcats have the home court advantage for this game and the jungle has a huge affect on referees and traveling teams. Perth are in very good form going into the finals and will make it a hard fought path for the Gold Coast Blaze to win their first championship. The Blaze hold the advantage in games this season winning 2 of the 3 ealier in the season. These were tough wins for the Gold Coast Blaze though, as in 1 game the Gold Coast were down by 20 points at half time to come back and win it. Perth used to be slow starters going into the third quarter but of late seemed to have sorted that problem out. Perth will go in to the game as heavy favourites but keep an eye on a keen Blaze outfit, as they have really came together late in the season. The Gold Coast Blaze seem to change from one game to the next and even from one quarter to the next, so which team will show up on Sunday? The offensive and defensive powerhouse we have seen they can be or the slow cant be bothered team that sometimes shows up. Adris Deleon aka "2hard2guard". This guy is a straight up baller and if he feels it, he will tear the game apart. 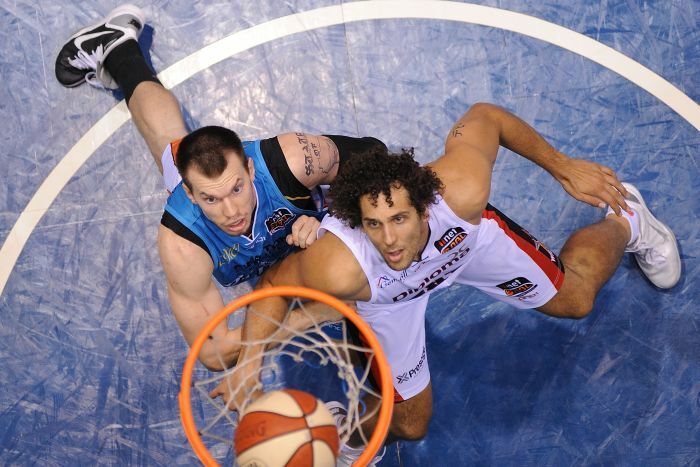 In his first meeting against the perth wildcats he scored 21 points, 8 assists, 6 rebounds, 3 steals and 1 blocked shot. But Perth now know what he can do and will do anything to stop him from repeating that performance. He will have to come out firing to get that confidence up as sometimes he wont score a point till the second half and often finishes with 16 points. Deleon will have a tough job defending Kevin Lish or Damian Martin, but he needs to not give Kevin Lish any room for a shot as he will hit it given the chance. Damian Martin is the opposite, as he can not let him drive as he will rarely take that shot. Adam Gibson needs to be hitting that jumper that he was getting only a couple of months ago and also needs to be aggressive and drive to the basket when able. The few times he has its been a big game for him. Gibson also needs to be very aggressive on defence and give just as good back, as the full court press Perth are famous for. Will Hudson of late has been a demon on the boards. Standing at 6'9" he isn't huge but the Gold Coasts Centre is a work horse, who picks up everywhere that the team needs him. Playing against Perth he will have a tough job ahead of him against the bohemeth Luke Nevill. Hudson will have to box out hard and protect the paint and this will be a grueling game for Gold Coasts big man. 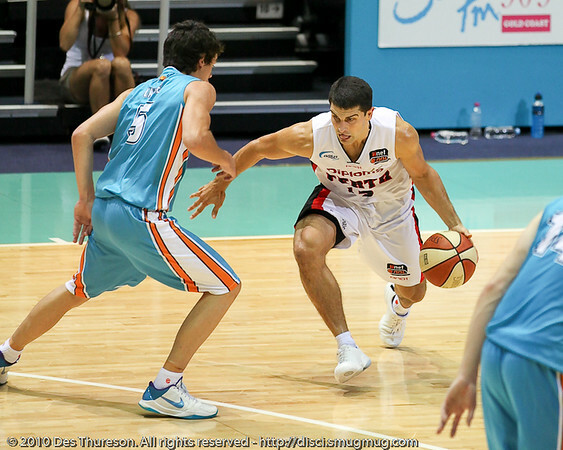 Mark Worthington was recently awarded as forward to the IInets NBL 1st team and will have to prove it going up against Shawn Redhage, who on all accounts is nearly Wortho's equal. This will be a great match up as two of the most players in the league face off and I for one hope Wortho stops Redhage the chump. Anthony Petrie will also have his hands full up against Matt Knight who again is a force on the inside. Petrie needs to use his skill with the ball and make some strong drives and assists but also box out and keep Gold Coast alive with some second chance shots. Chris Goulding needs to hit that 3 ball like he did last week; 3 from 3 in the first 5 minutes. If he can play a game like last week and the rest of the team are on, the Blaze can take this from the Wildcats. Kevin Lisch was just awarded the IINets NBL MVP for the league and runs that team very efficiently. He often makes some big clutch plays and can drain the 3 ball given the chance. Damian Martin was awarded the defensive player of the year award and if you watch the game you will see why. He is a mongrel dog after the ball and is relentless. But he will have his hands full guarding the Blaze's 3 point guard rotation of Adris Deleon, Adam Gibson and Jason Cadee. Shawn Redhage against Mark Worthington will be a close match up, the one who hits more jumpers and plays harder will help his team to the win. Luke Neville is huge standing at 7'2" and is a force in the paint, which will be very difficult for Will Hudson to match up against him. It will be a fight off of muscle and who can get the better position, but they will look to Neville a lot through the game to post up and get some cheap baskets. Matt Knight has had several injuries through the year but looks fit take the finals. He will be a defensive stopper against Anthony Petrie but will definitely have some trouble with Petrie's speed. The match ups in this game are very close but the Perth Wildcats are going into this one as the favorites, sitting at $1.35 for the win and the Blaze at $3.20. I think it will be a close one but Perth have the advantage on height and you will see its effect through the game. The home crowd is also very vocal in Perth and watch out for some bad calls. But Gold Coast will be in with a chance if they can keep their head up and not get so pissed off at the referees. Its a bad call move on don't get caught up in it. This has often lead the blaze to form slumps. If they can get out of this im going to tip them for the close win by 2. However if they let the bias reffing get to them, look for a 12 point loss to the blaze.